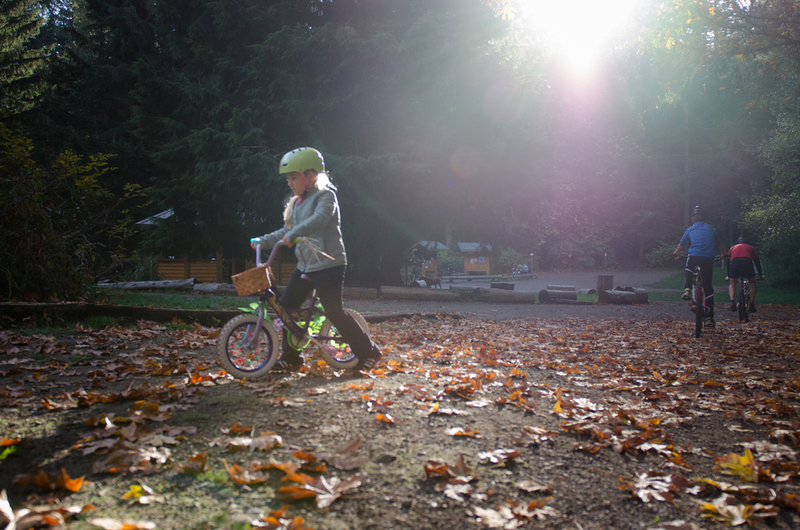 it was a typical fall day in seattle. clear + cool — the outdoors were calling. 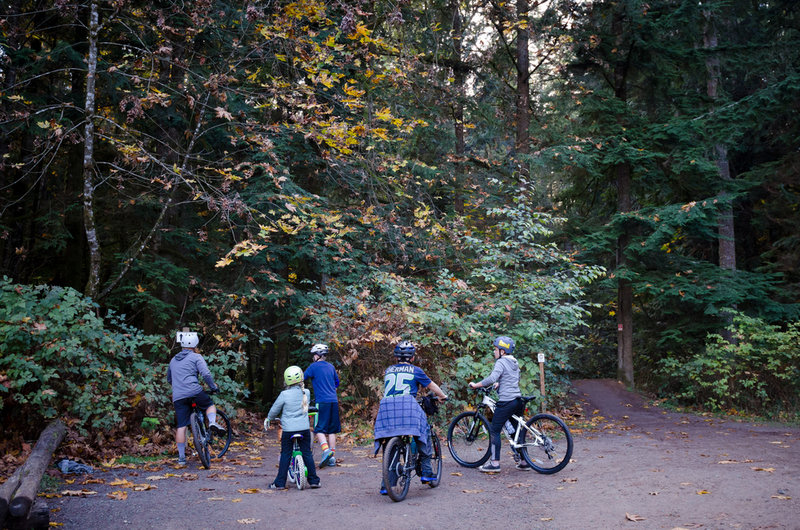 in honor of celebrating graison's turning twelve, he invited his tribe of bros to join in on some single track, mountain biking in the outlying hills of seattle. there were bikes, helmets + plenty of adrenaline. the car ride over was filled with 100%, pure boy energy + anticipation. there may have been some wildly loud singing + man-child slugging, but i will not say for certain. 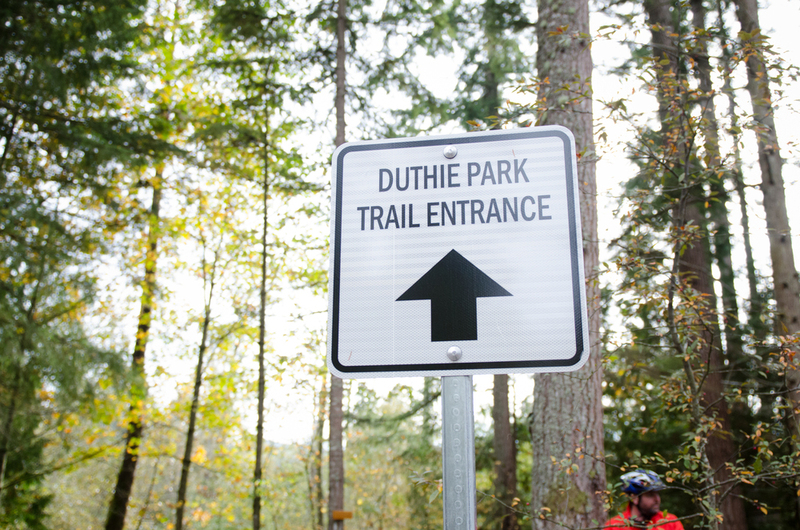 upon arriving at duthie hill, we assembled the posse and hit the trails. the boys were off. i walked behind with miss ava on her own clown-sized mini bike. i swear the sight of it made me chuckle. 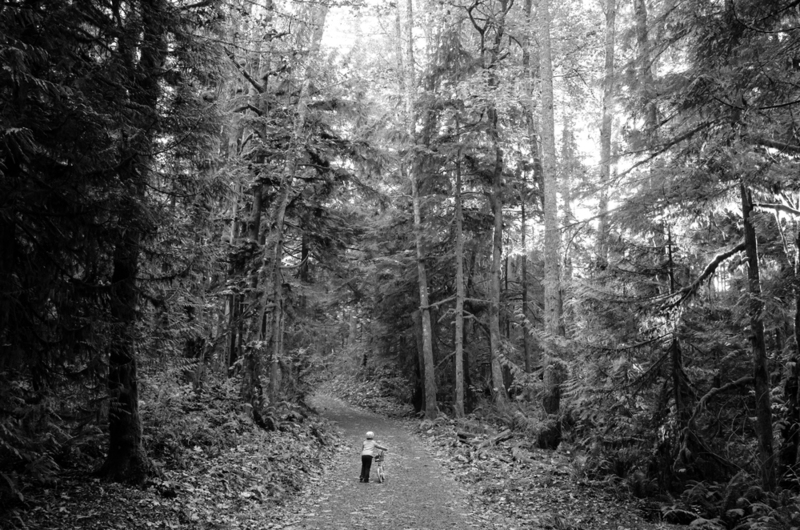 we wandered into the woods, she, so desperately trying to catch-up to those boys who clearly left her in the dust. 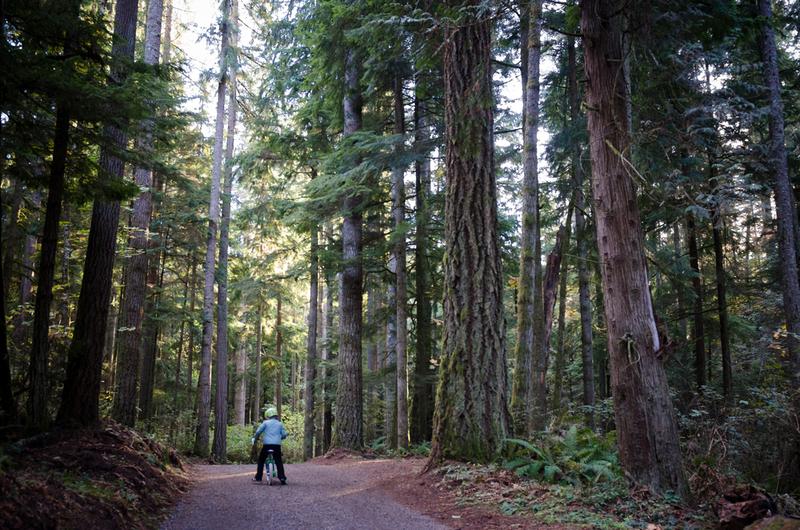 the trail into the park was breathtaking — surrounded by old-growth evergreens + deciduous forest. incredible. seemed like i walked forever as i, myself, had been left in the dust by my own daughter. as i walked i could hear her calling, "daddy. graison." 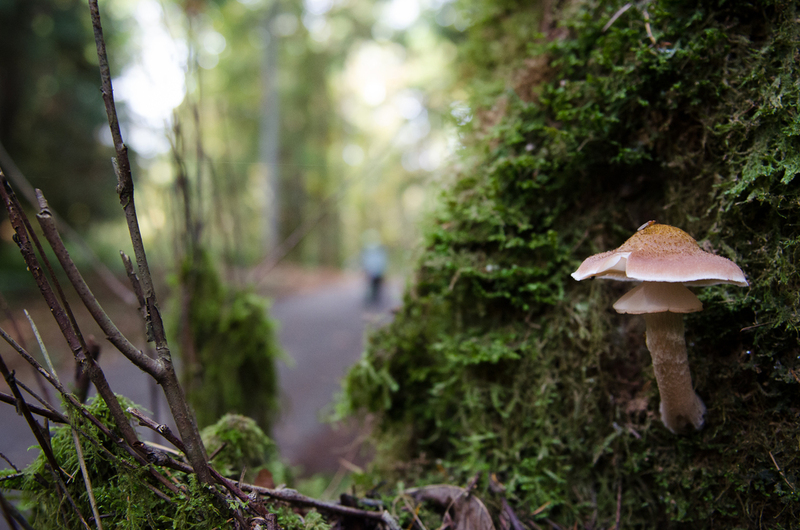 from the trail ahead. i finally arrived at the central clearing or "hub" and met-up with ava. 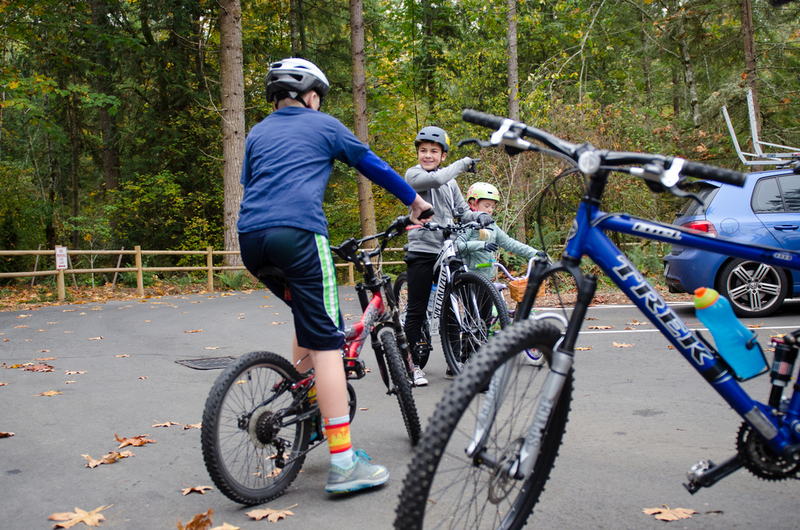 she shredded around the hub a bit until the boys showed up — their faces covered in smiles. they rode and jumped + wrecked hard. i am certain they had the time of their lives! my husband had reverted to being a 12 year-old boy himself. it was wonderful to watch them all eating up the day as if nothing else existed outside that moment. they rode for a couple hours, in + out of the forest to the hub. i caught them when i could and delighted in their joy. as the sun sank lower into the trees + the temperature began to drop, their boy stomachs began to scream — i mean call. i knew hunger was the only thing that could tear them away. the walk back to the car was much quicker, the boys hung back a bit this time. 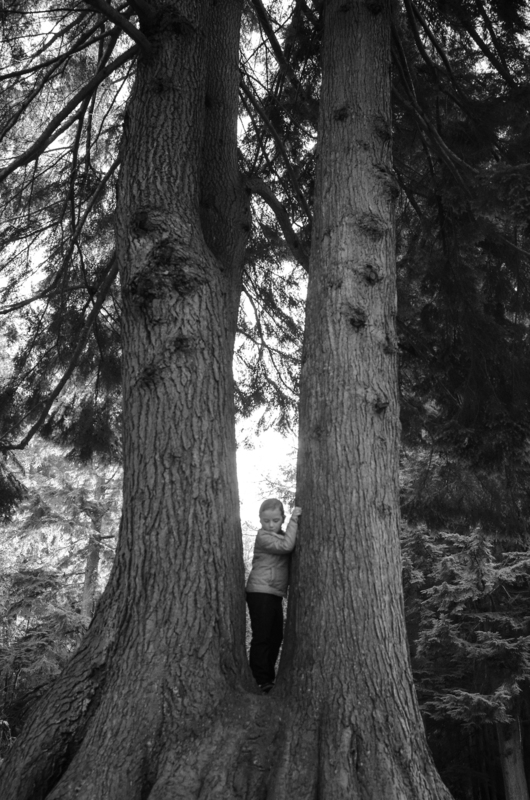 it was fun to hear their banter + laughter as the filtered sun broke through the trees. the trails left tracks on these boys today and celebrating twelve never felt so good.